Cezary Podraza presented an international championship fight show “WKN Challenge” on May 12 in Zawiercie, Poland. 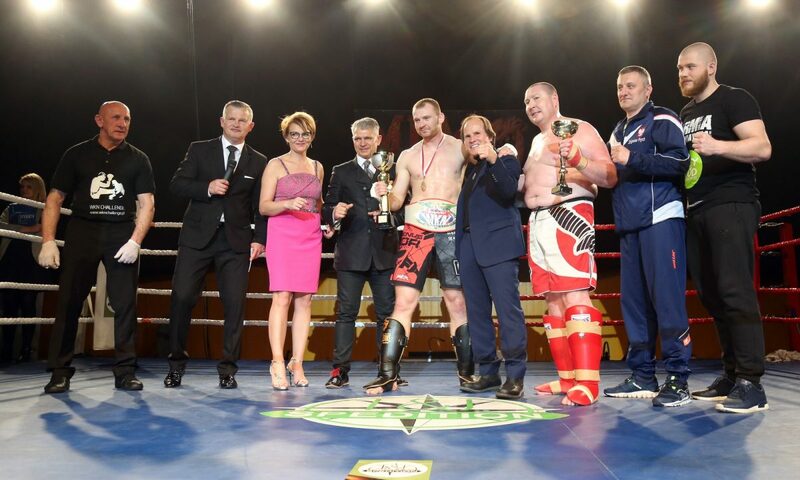 In the main event Grzegorz Lenart of Poland defeated Siarhei Zhydko of Belarus and earned the WKN super cruiserweight pro-amateur world title. Also, Marco Petrovic of Serbia defeated Damian Linder of Poland and claimed the WKN super featherweight junior kickboxing pro-amateur European title. In addition, Justyna Ciborska of Poland defeated Karyna Chaplinskaya of Belarus and became the WKN women’s welterweight junior kickboxing pro-amateur European champion. The fight card comprised a series of amateur bouts with athletes representing Northern Ireland, Switzerland and Belarus.